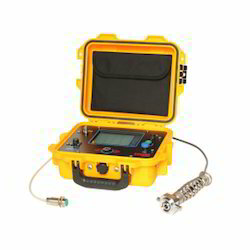 Offering you a complete choice of products which include marine diesel engine analyzer. As one of the leading entity of this domain, we are engrossed in providing supreme quality Marine Diesel Engine Analyzer. This system is equipped with diesel detector. It is made compatible with various software packages available integrated PC for mobile usage. The offered system is manufactured by our ingenious professionals using the finest quality aluminum with the aid of pioneering techniques at our vendor end. Also, this system is extensively demanded to use in several industrial operations. DK-100 Multichannel portable system for simultaneous data collection and real-time analysis diagnostic & observation of corrective actions. The faults if any including non-synchronous behavior of the cylinders will also be indicated. Looking for Diesel Engine Performance Analyser ?